Hogs Back Brewery is predicting a top-quality hop harvest this year, with the impact of the long, hot summer raising expectations of quality over quantity. With plans in hand to relocate the hop garden to a much larger site for 2019, the fourth, and final, harvest on the existing hop garden will take place mid-September, after which the process of transferring hops, and planting new ones, will begin. 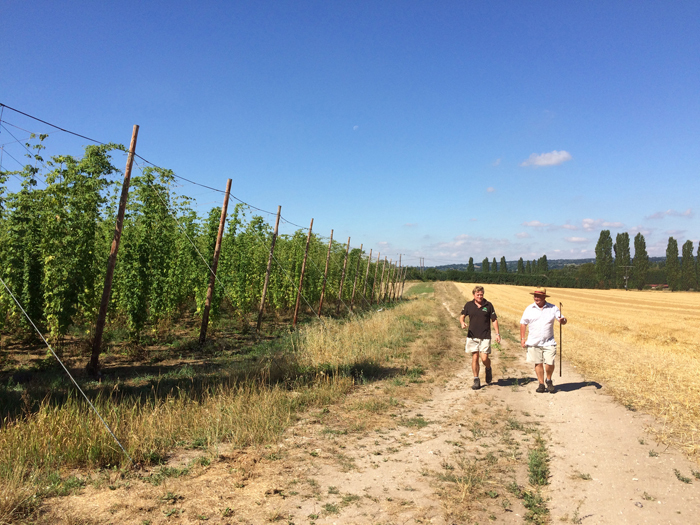 The brewer, based near Farnham in Surrey, has been closely monitoring hop growth during the heatwave. Estate manager Matthew King said, “This is the first extended period of dry and hot weather we’ve experienced since planting the hop garden in 2014. Hops thrive on heat and sunshine, but the lack of rainfall has affected their development. They are drawing water up to the top of the plant which is looking very healthy, but we’re not seeing as much lateral growth lower down. The new hop garden is more than double the size of the existing one – a total of eight acres, compared to the current 3.5 acres – and is located within Manor Farm, where the brewery itself is sited. The garden will sit in a prime location on the best land on the farm and will also include a test area for different varieties. Work is due to start this month on the new garden – formerly a wheat field – and is expected to be complete by early 2019. The site will be prepared for the arrival of hop poles which, thanks to an absence of overhead power cables, will be taller – and therefore higher-yielding – than those at the existing garden. After several miles of hop wire have been added, 2,500 hop plants from the current site will be moved by hand, and new ones planted. Hogs Back will harvest four hop varieties in September: Farnham White Bine, a traditional local hop which Hogs Back revived from near-extinction; Fuggles, used in the brewer’s flagship TEA (Traditional English Ale); Cascade, used in Hogstar Craft English lager, and Pioneer, added alongside the other varieties to the seasonal Home Harvest Ale. Up against Lee were runner-up Daniel Gregory of the IXL Bar in Hobart, Tasmania, with his Where the Wild Things Are cocktail, and third place Shane Groarke of Cask bar in Cork, with his creation called Non Genuine But Mine. Making their winning cocktails for the judges, the finalists earned points for the flavour of their drink, their technique and presentation skills, and their knowledge of the history and heritage of Southern Comfort, created in New Orleans in 1874 by bartender M.W. Heron. Building on its reputation as the rogue of the spirits shelf, Scapegrace Gin is launching a cocktail competition with a difference. Bartenders entering the Anonymous contest will have to create a Scapegrace cocktail recipe that will be made for the judges by another bartender. With the entrants remaining anonymous until after the judging, the competition has been launched by Hi-Spirits, distributor of premium New Zealand gin Scapegrace, to put the focus firmly on the quality of the cocktail rather than the personality of the bartender. Any bar stocking Scapegrace Classic Gin or Scapegrace Gold Gin can enter a cocktail recipe with a maximum of ten steps online. Entrants will be shortlisted on the basis of the originality of the drink, the appearance of the cocktail, and creativity based on their answers to two online questions about who they’d serve their drink to. 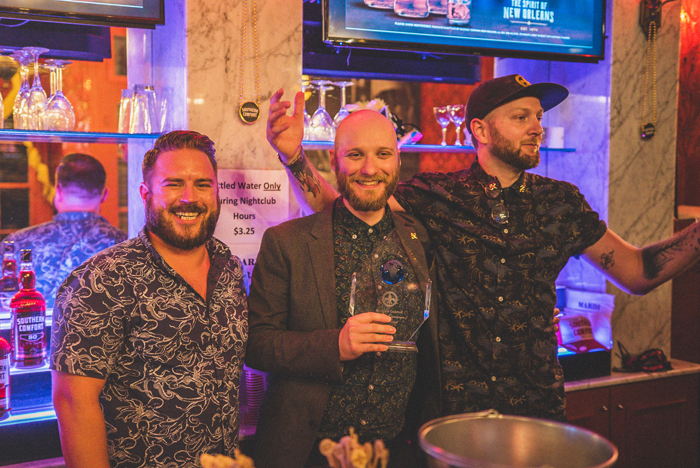 Regional winners will be invited to a Grand Final in London on 3 October, during London Cocktail Week – where they will see their drink being made for the judges. The identity of the winning drink’s creator will only be revealed once the judging is complete. The prize for each regional winner also includes a one night, all expenses paid trip to London, with a plus one. This will include a tour of some of the capital’s best venues, along with dinner and drinks, hosted by Scapegrace Ambassador Josh Linfitt. The overall winner will get a Scapegrace goodie bag and tickets to see Fat Freddy’s Drop at the Brixton O2 Academy on 9 November as part of another VIP night out. Coming from the Rogue Society Distilling Co, Scapegrace bills itself as the gin ‘from the bottom of the world’. Distilled in New Zealand using spring water sourced from the country’s Southern Alps, and botanicals sourced from around the world, the spirit is batch-distilled using a restored 19th century copper whisky still, with each batch individually numbered. 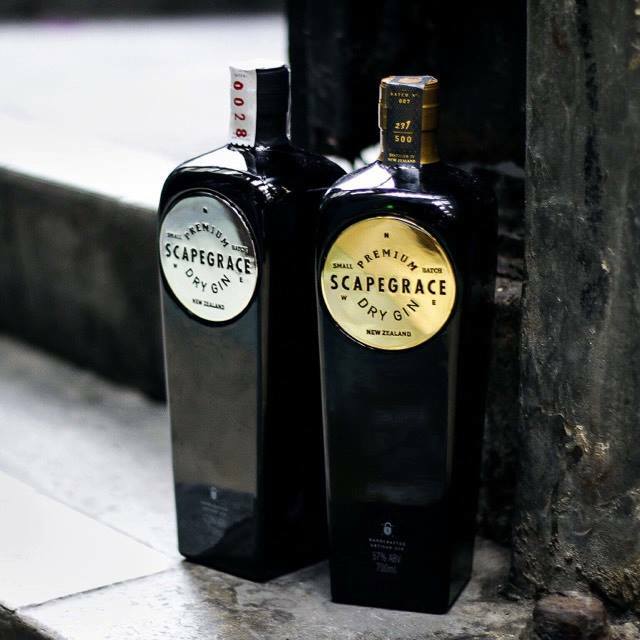 Scapegrace is a traditional word for a rogue or rascal, and the brand celebrates gin’s sometimes murky history with a black-tinted bottle, which has a shape based on an antique genever bottle. Alongside Scapegrace Classic, a 42.2% ABV complex, artisan dry gin which combines classic juniper and citrus notes with subtler floral and spice undertones, sits Scapegrace Gold, a 57% ABV Navy-strength gin with added tangerine flavour notes. Full entry details for the Anonymous Cocktail Competition, including terms and conditions, can be found at www.hi-spirits.com/scapegracecompetition. Farnham brewer Hogs Back Brewery is back on national TV this week with a timely repeat of its appearance on BBC One Daytime series, The Farmers’ Country Showdown, as the brewer prepares for its hop harvest. The programme was filmed at the time of the 2017 harvest at the Hogs Back hop garden adjacent to the brewery and was originally broadcast in January. With The Farmers’ Country Showdown attracting regular audiences of 1.6m, the new broadcast, at 11.45am on Friday 20 July, comes just as Hogs Back is gearing up for the 2018 harvest. 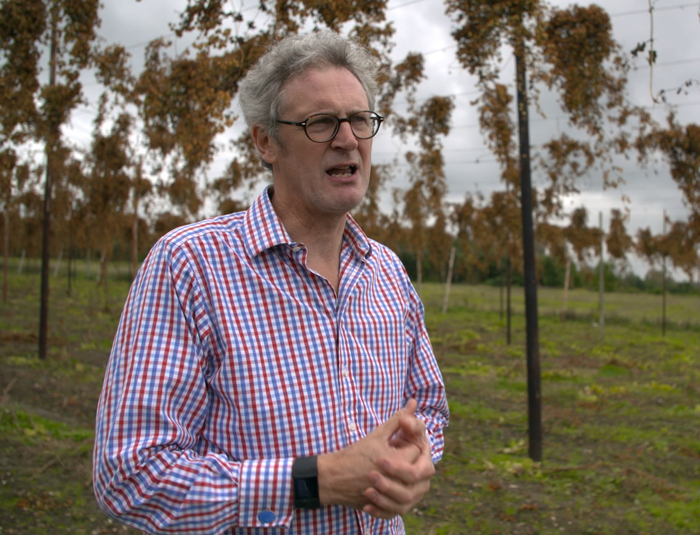 The episode includes an interview with Hogs Back MD Rupert Thompson, where he talks about the brewery, and in particular its hop garden, as well as footage of the Farnham Food Festival, where Thompson gave a talk on hops. The programme also features local gamekeeper and butcher Jack Smallman. Thompson said, “We were delighted to welcome The Farmers’ Country Showdown team to the brewery, and we’re glad there’s another opportunity for viewers to enjoy the programme. The hop garden, which we planted in 2014, is a great example of brewing tradition and innovation working hand-in-hand, and an excellent fit for the series, which looks at a wide range of farmers and producers. The Farmers’ Country Showdown celebrates the hard-working, devoted farmers who are the backbone of the rural economy. It illustrates the changing face of farming as well as the traditional ways of working the land they live on. It first screened in 2017 and a second series of 20 x 45-minute programmes was shown this year. The Farmers’ Country Showdown is produced by Sidney Street Productions, a production company founded in January 2016 by former MasterChef Creative Director, Karen Ross with Endemol Shine UK. It specialises in producing food, factual and lifestyle formats, including the Mary Berry Everyday series for BBC Two. Alcohol education charity Drinkaware is extending its Drinkaware Crew scheme to the Splendour Festival in Nottingham on 21 July. Drinkaware Crew was launched in 2014 in pubs, bars and clubs as a way of keeping young people safe on a night out and has been introduced to 18 areas around the country. The Drinkaware Crew teams will operate at Splendour in much the same way as they do in bars and clubs; after receiving special training, developed by Drinkaware, they will interact with festival goers and support people who might be vulnerable after drinking too much. 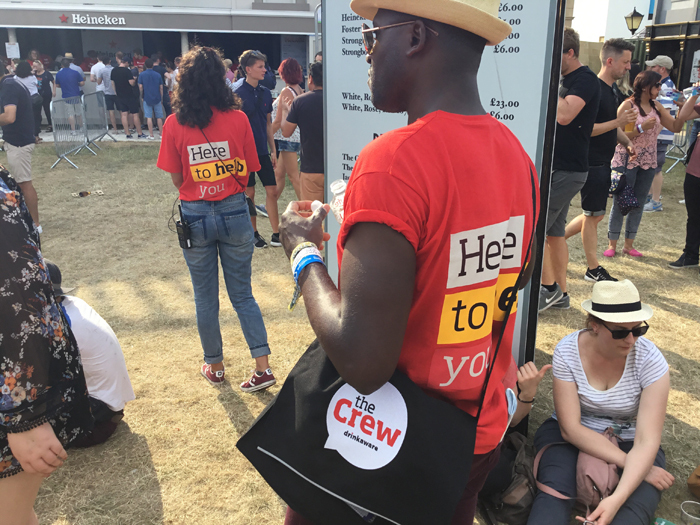 Working in pairs, Drinkaware Crew will mingle with festival visitors, wearing branded Splendour/Drinkaware Crew clothing, and help vulnerable people where needed. As well as reactive support, teams will proactively promote a positive atmosphere, by talking to customers queuing to enter the festival, and engaging with them during the event. Drinkaware Chief Executive Elaine Hindal said: “Drinkaware are delighted that the Splendour Festival has taken the decision to introduce our highly successful Drinkaware Crew scheme. “Four years ago, Nottingham was the first city to have the scheme in bars, pubs and clubs, so it’s a natural progression to now introduce it to a festival in Nottingham, to help keep people safe. Julie Tippins, Head of Compliance at venue operator DHP Family, which runs the Splendour Festival, said: “Over the 10 years we have been staging Splendour, we’ve seen it more than double in size and it now attracts around 25,000 people. It has a wonderful family friendly atmosphere where everyone comes together to enjoy the music, comedy and fringe entertainment. Drinkaware Crew is designed for venues with a 500+ capacity and training has been delivered in: Bolton, Cheltenham, Glasgow, Plymouth, Shoreditch, Cardiff, Swansea, Nottingham, Bristol, Derby, Coventry, Leicester, Birmingham, Loughborough, Stalybridge, Pontypridd, Exeter and Wakefield. Venues interested in operating Drinkaware Crew should contact drinkawarecrew@drinkaware.co.uk. 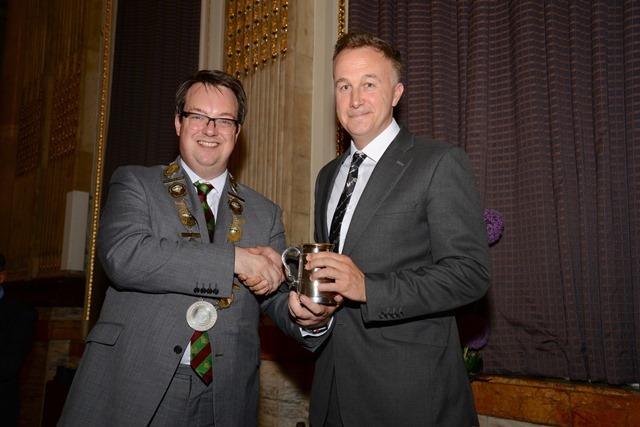 Stonegate Pub Company has been named the Corporate Charity Fundraiser of the Year by PubAid and the All-Party Parliamentary Beer Group (APPBG).Stonegate Pub Company has been named the Corporate Charity Fundraiser of the Year by PubAid and the All-Party Parliamentary Beer Group (APPBG).